Maximos Plaza, Tower 1, 3rd Floor, 213 Arch. Makariou III Avenue CY-3030 Limassol, Cyprus . 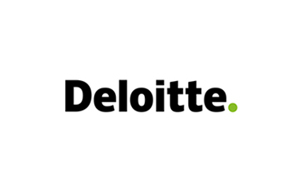 Deloitte is one of the largest and fastest-growing professional organizations in Cyprus. The Human Capital Services of the firm offer a full range of services, from Training Programs, to Recruitment Services and Rewards & Incentives Schemes. In order to design and deliver the training programs tailored to client needs, firstly we complete the necessary needs analysis and determine the training needs & objectives, and the expected results. In parallel, the Innovation and Entrepreneurship Centre participates in a number of research projects in a range of subjects such as education, ICT, energy and the environment, carrying out tasks such as socioeconomic impact studies, cost-benefit analyses, market surveys etc, based on a wide range of quantitative and qualitative methodologies including secondary/ desk research, primary research such as surveys, and stakeholder consultations. At the same time, the Centre participates in entrepreneurship initiatives in Cyprus, which support young entrepreneurs. The aim of Deloitte’s Innovation and Entrepreneurship Centre is to stimulate the Cypriot economy by supporting innovation and entrepreneurship. It provides support to start-up companies and give young entrepreneurs the boost they need for their business. In this context, Deloitte participates as a strategic partner, to IDEA, an acceleration and incubation programme established in 2015, in order to develop and support innovative entrepreneurship and to create employment opportunities for people wanting to set base in Cyprus, ultimately boosting the competitiveness of the Cyprus economy at an international level. At the same time, key staff of the Centre provide mentoring in startup competitions, organize and implement training events and workshops targeting startups and are generally very active in the startup community in Cyprus. DELOITTE’s Innovation And Entrepreneurship Centre has strong expertise in promoting startups and entrepreneurship ecosystem in Cyprus. Hence the company is in a valuable position to support new entrepreneurs by providing consulting, mentoring and advisory activities as well as perform research in the topic in order to further enhance their capacities. Deloitte will lead two work packages related to quality: WP4 (Quality Assurance (quality plan) and WP5 (Evaluation) and actively participate in all work packages of the Project. Monica Ioannidou Polemitis is in charge of Deloitte’s Innovation and Entrepreneurship Centre handling all EU affairs, assisting clients with funding needs and overseeing projects on a daily basis. Under the Innovation pillar, she is responsible for promoting Deloitte’s participation in projects which focus on and promote innovative practices in various sectors of the economy, such as research projects in cooperation with leading universities and research institutions throughout Europe. Under the Entrepreneurship pillar, Monica is responsible for IECs activities and initiatives related to startups, with a vision to develop the entrepreneurship ecosystem of Cyprus. Monica holds a bachelor’s degree in Economics and Politics from Essex University and a Master’s degree in International and European Politics from the University of Edinburgh. Eliza Loucaidou as a Manager at Deloitte’s Innovation and Entrepreneurship Centre and is actively involved in the implementation of tasks associated with EU funded projects, such as any research or study-related activities, and in the preparation of proposals & budgets for projects seeking funding. She has a Degree in Politics and an MSc in Public Administration and Public Policy from the London School of Economics.